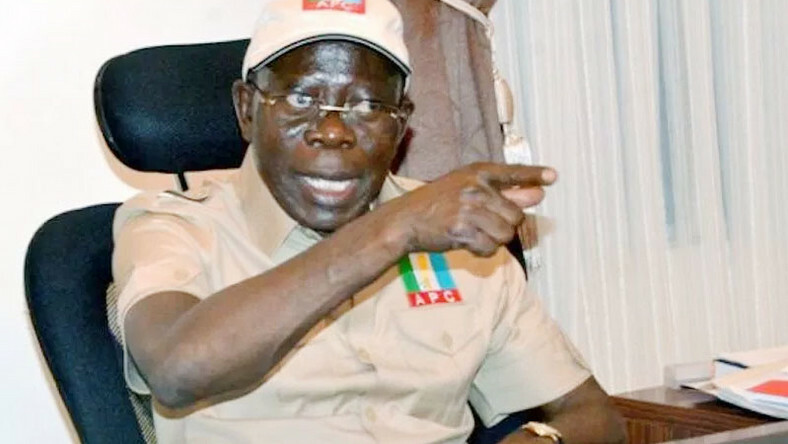 All Progressives Congress (APC) National Chairman, Adams Oshiomhole yesterday accused the Independent National Electoral Commission (INEC) of working for the main opposition People’s Democratic Party (PDP), ahead of the general elections. Responding to questions about an alleged collusion between the INEC and President Muhammadu Buhari, Oshiomhole alleged that at the moment, two Resident Electoral Commissioners in the Southsouth have been going about campaigning with the PDP. 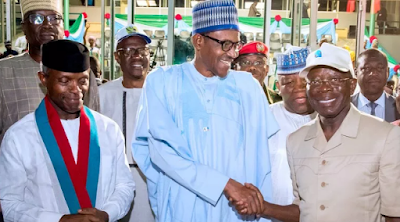 Oshiomhole, who asked Nigerians not to return the PDP to power, said the pledge by the PDP candidate to float the naira was a recipe for economic woes, adding that Atiku has always been part of problem facing the nation. He also dismissed PDP’s allegations that the APC was responsible for burning some INEC offices that have recently been engulfed in flame, stressing that he could easily allude to the fact that the PDP burnt the INEC offices because they are afraid of losing elections in those places. He said: “If anything, this INEC has been very unfair to the APC. But we just discovered that we have a responsibility. The fact that we are a governing party imposes on us a certain level of code that you can’t be seen to rubbish every institution, because if we rubbish everything, it would mean that we don’t want election. INEC believed everything the PDP says. “As we speak, there are two Resident Electoral Commissioners, who are virtually campaigning line by line with the PDP in the Southsouth. INEC, without giving us any explanation and without any concrete evidence, went ahead to say we can’t field candidates in Zamfara. “Is that the way your friends behave if they are your friends? INEC is working more for the PDP based on evidence I can show. How can they explain that a court of competent jurisdiction gave orders in Zamfara to say this candidate is eligible to contest election and another high court in Abuja also gave a verdict saying APC did not conclude its primaries, but did not give order to INEC? “There is no order issued by the Federal High Court in Abuja. The Court of Appeal made a pronouncement on this matter today that there was no order from the court in Abuja, but that there was a concrete order from a Zamfara High Court, which upheld the primaries that was conducted in Zamfara. “The INEC Chairman has said that when there are two court orders, they will adopt the last judgment. In Zamfara State, the Abuja judgment came first and the Zamfara judgment came last, even though it is the same day. “More as INEC has said they will always obey the last judgment, when it came to the Zamfara issue, they changed the goal post. As media practitioners, you have to be careful. When you say people alleged there were meetings and can’t even cite any, it is a disservice. We have been at the receiving end of abuse. “There is a candidate in Kano, whose nomination we forwarded to INEC, but they changed the nomination and as we speak, we are in court over that. We showed our evidence."